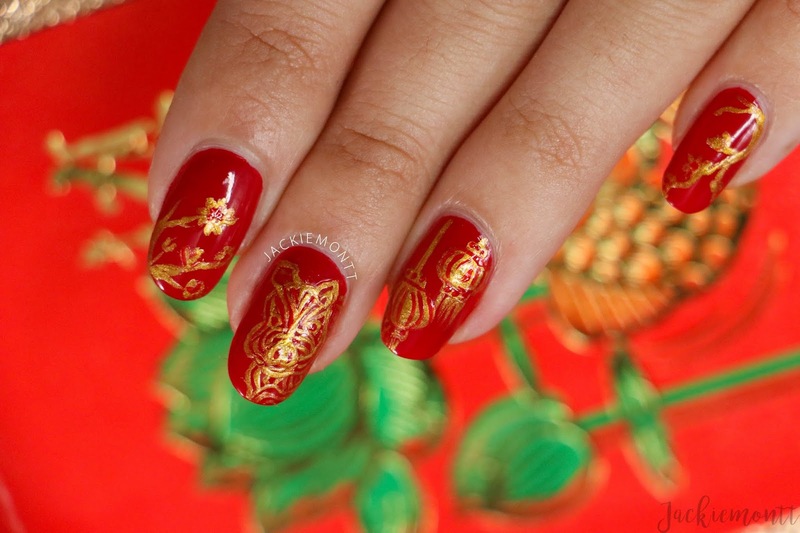 Happy (almost) Chinese New year! 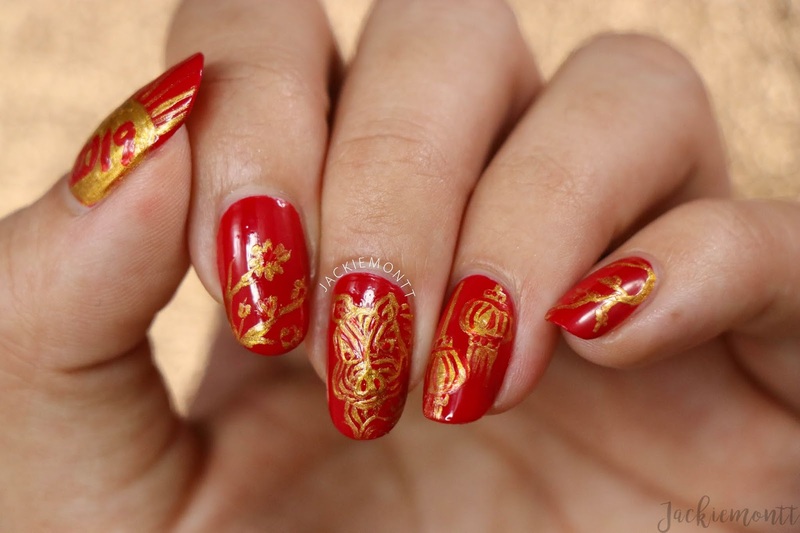 Check out my festive nail art down below! Hello Lovelies! 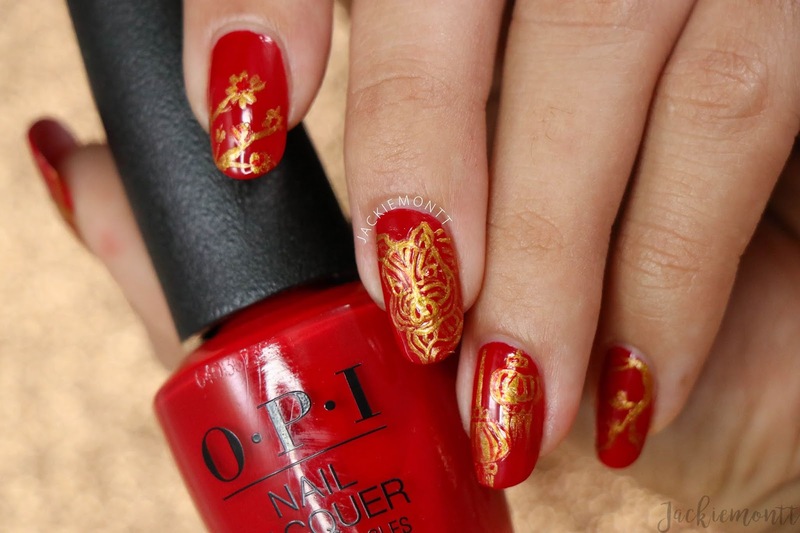 Today I have some festive nail art to share with you all! Next Tuesday (Feb 5, 2019) is Chinese New Year! 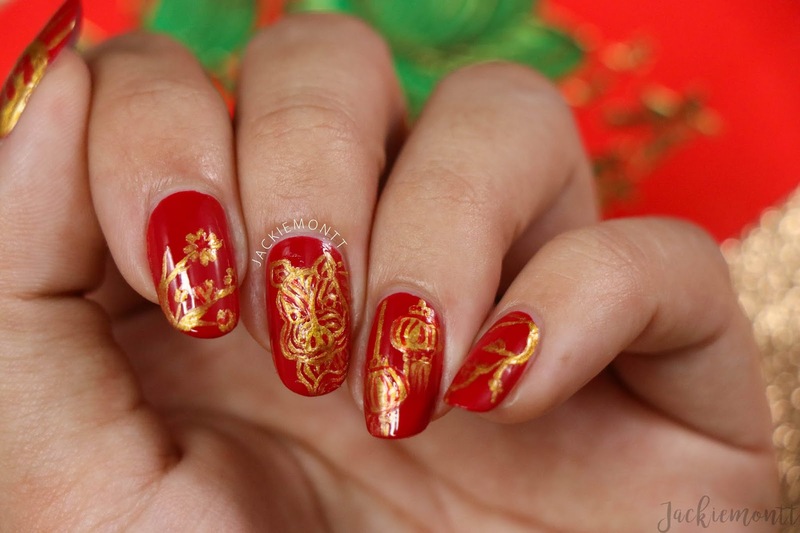 Now, no I am no Chinese, but my step-mom and many of my friends are and I wanted to create this nail art to help celebrate the New Year! 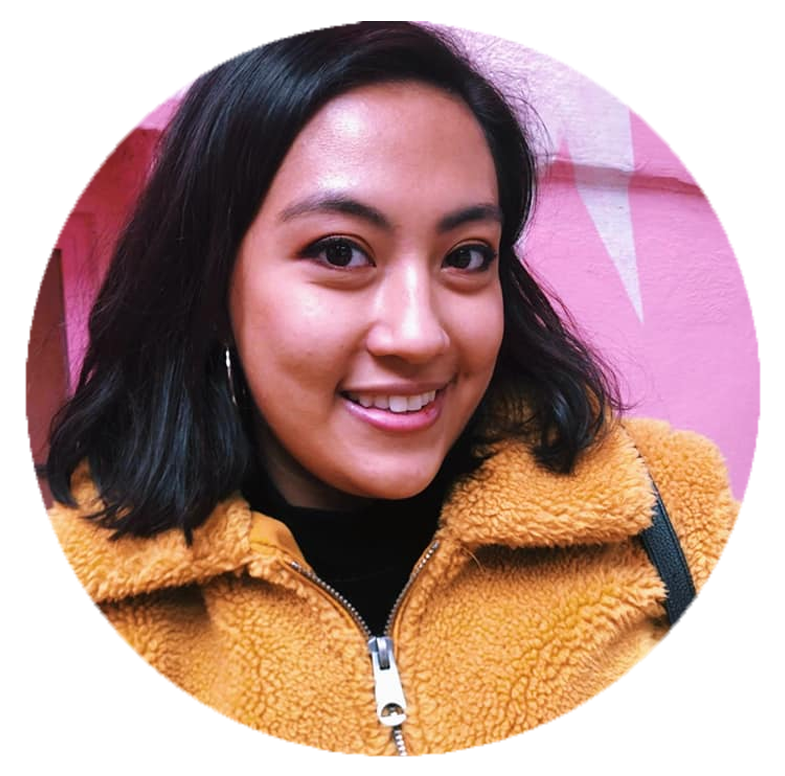 If you don't know, Chinese (or Lunar) New Year is a Chinese festival that celebrates the beginning of a new year on the traditional Chinese calendar. The festival is usually referred to as the Spring Festival in modern China. This year is the year of the pig! If you want to learn more about the Chinese Zodiac, you can do so here. 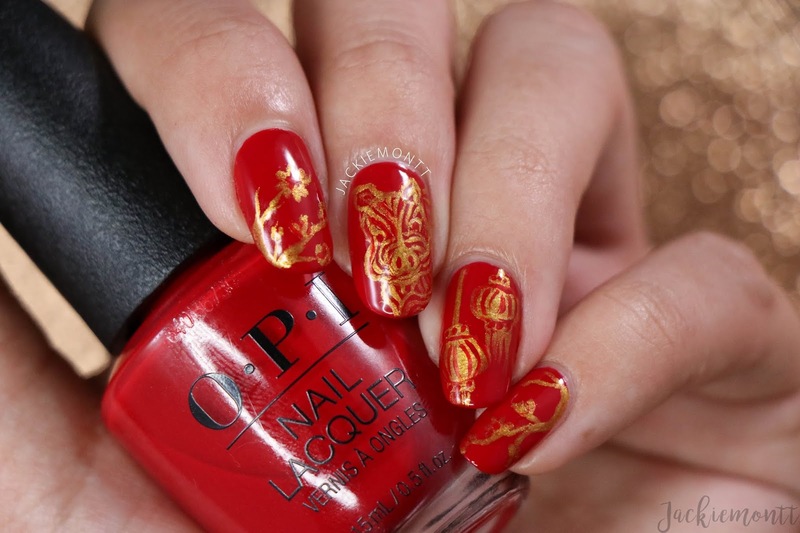 Now, I put together a little mani inspired by red envelopes, or hong bao in Mandarin, which are little red envelopes that are given out filled with money! 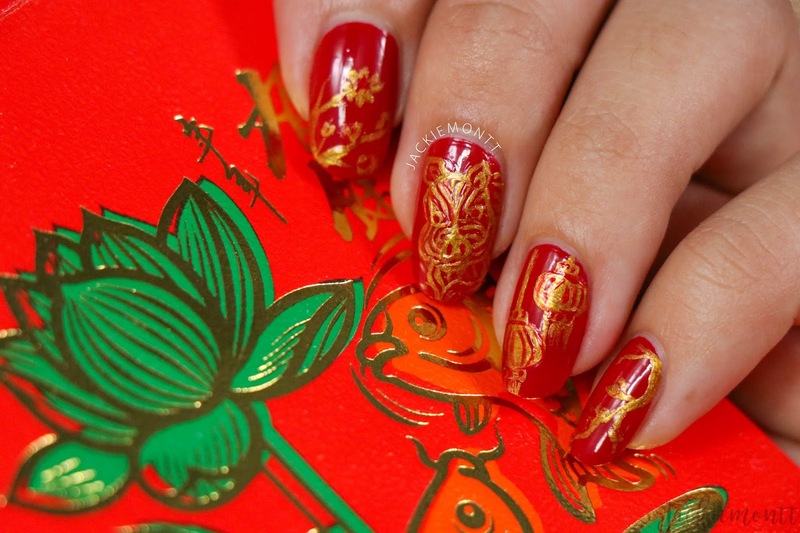 These are a big tradition in Chinese and other East Asian and Southeast Asian communities. This was another simple-ish look to put together. 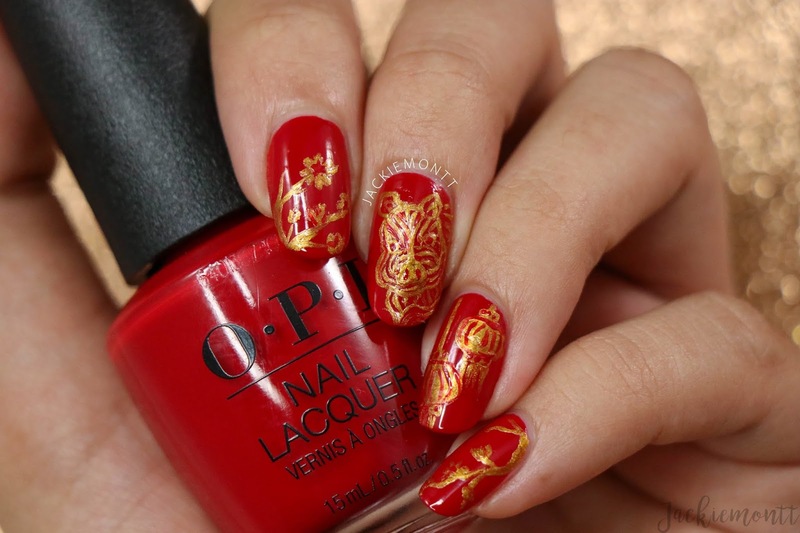 I used three coats of OPI Tell Me About It Stud as my base, and then pulled inspo from the many beautiful red envelopes out there + the year of the pig and created the gold designs in Zoya Goldie. 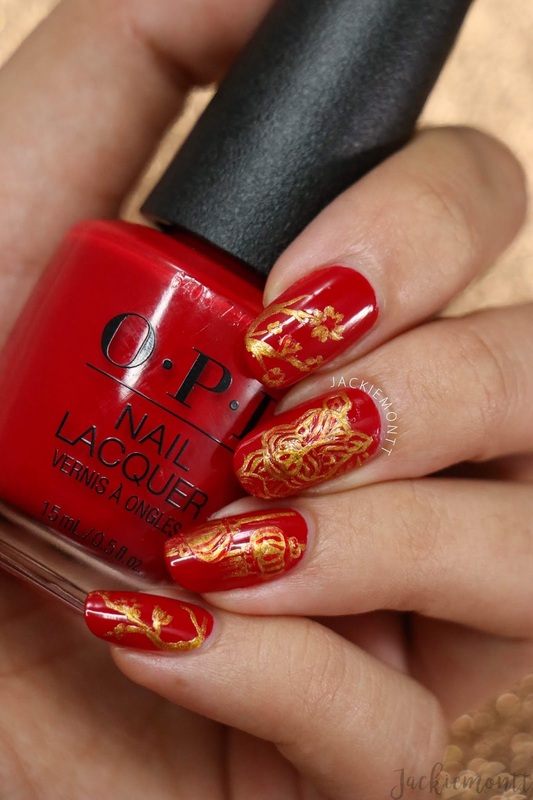 As I say with most nail art posts, I think the photos do a better job than my words -- so I will end this post with tons of photos!